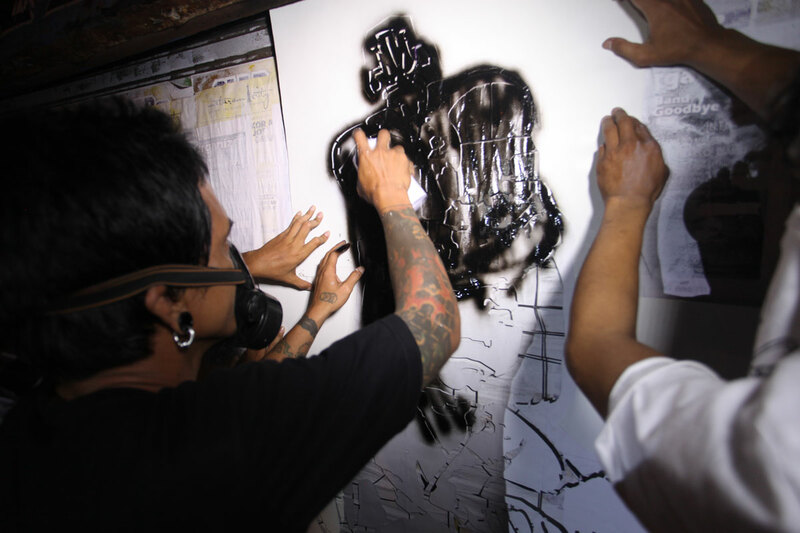 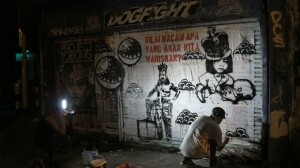 Yogyakarta is one of the centres of street art in Indonesia. 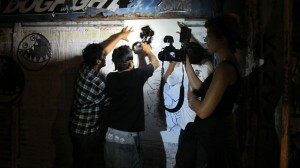 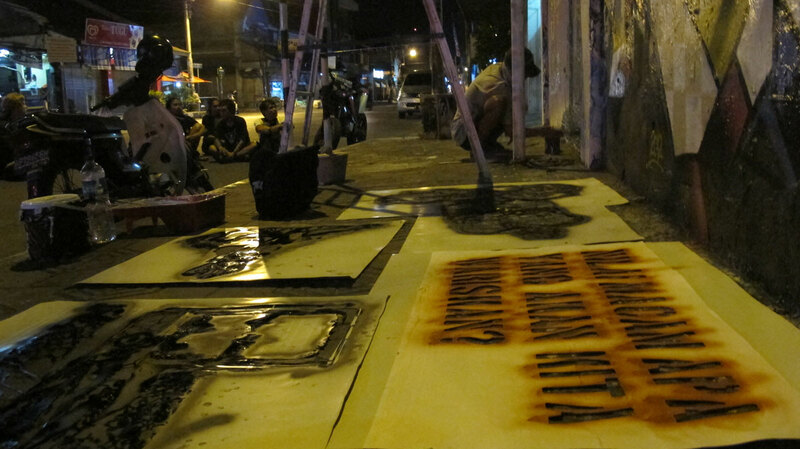 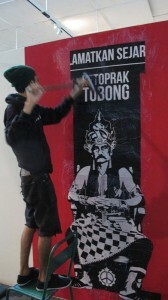 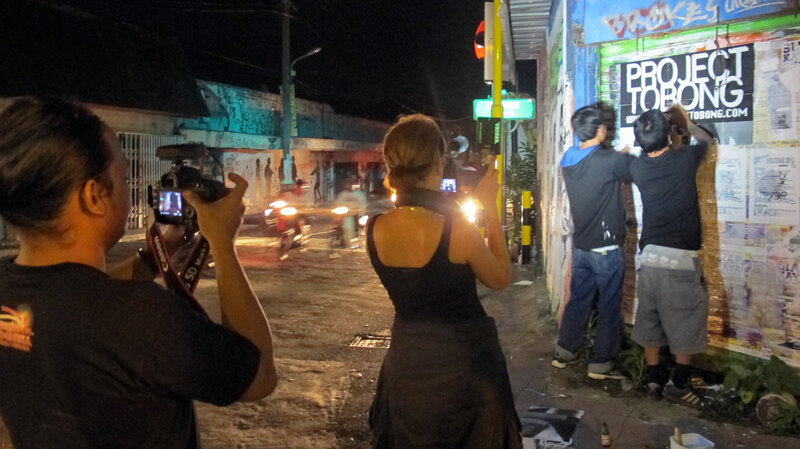 On Christmas day and night the artists collaborated to make a representation of Project Tobong on the streets. 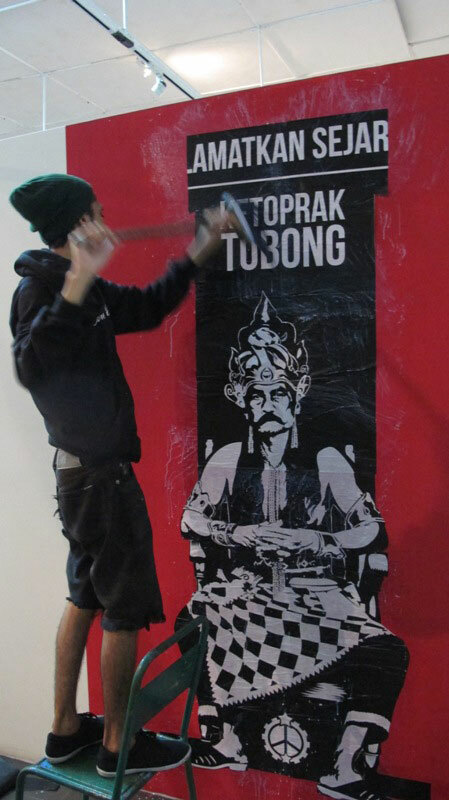 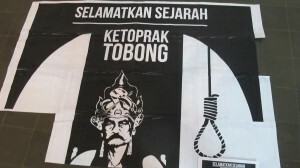 Artists Digie Sigit, Adit HereHere, Wimbo Praharso Geurrilas and Anti Tank created their own take on Project Tobong for the young people. 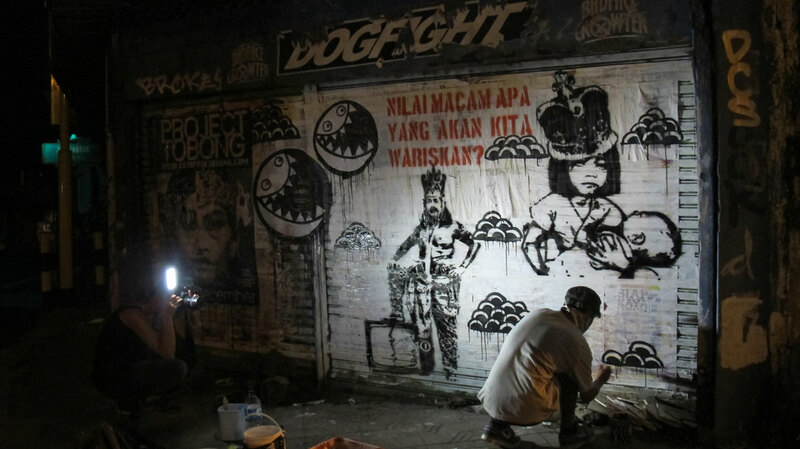 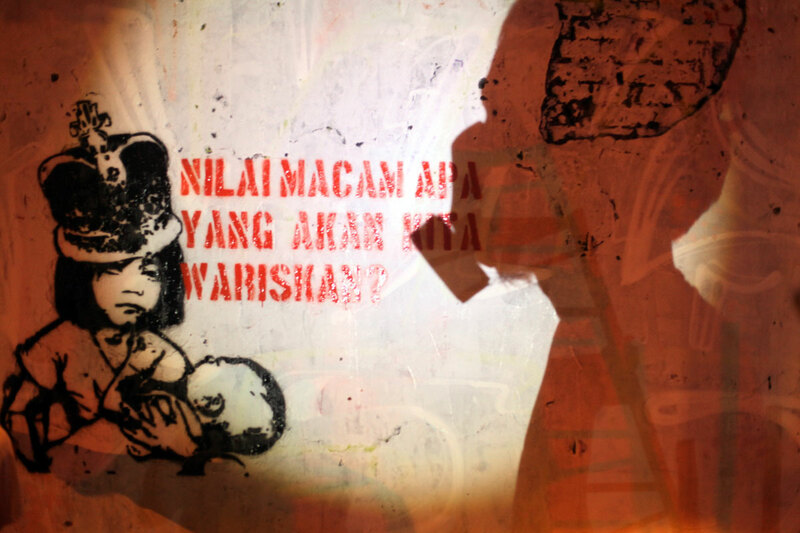 Prolific street art in Yogyakarta brings social issues to the foreground, whilst Ketoprak Tobong theatre is rooted in the community but within tradition and is in the background. 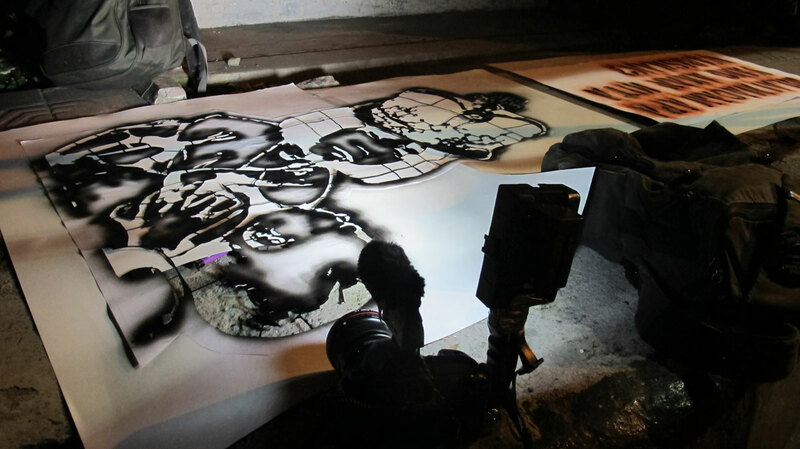 This collaboration enabled the art forms to come together, bridging a gap between generations and understanding. 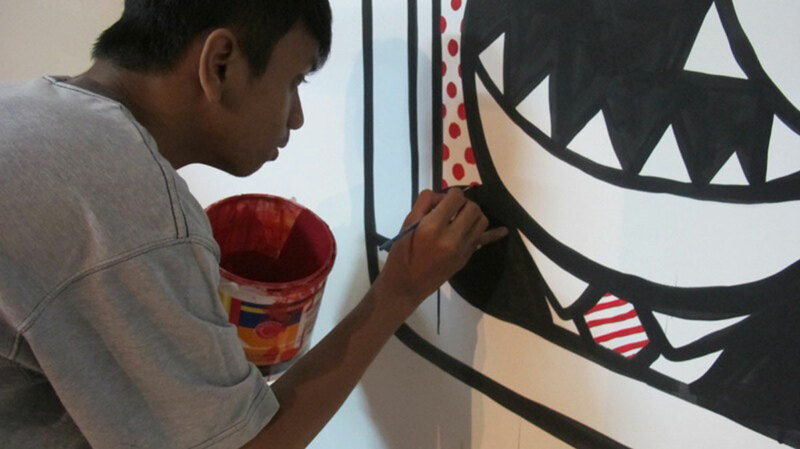 The artists were also invited to participate in the final exhibition and many young people attended to witness the theatrical performance.